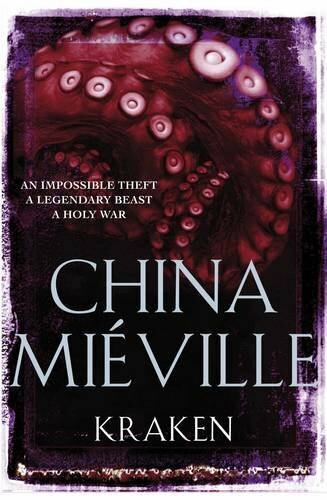 China Miéville’s Kraken (Aus, US, UK) is savvy, exuberant, sci-fantastical fiction – a novel about a stolen giant squid and the ensuing adventures of museum curator Billy Harrow. It’s a super-fun read, set in a richly imaginative alternate London, filled with sassy, dirty, sweet, dangerous and apparitious characters. 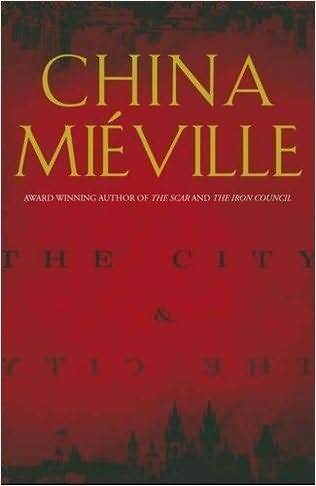 It was great to be able to have a two-on-one with China Miéville, alongside Benjamin Solah – political writer and blogger – whom I knew to be a fan of Miéville’s work and outlook. Miéville was in town for the Melbourne Writers Festival and AussieCon4. I’d first seen him the previous year and was enraptured by his intellect and gentle articulate nature (somewhat contrasted by his shaved head and buff bod). AM: It does, it does when you’ve read it. Benjamin Solah: Another thing to do with the city – because I’ve read King Rat as well, and I was obsessed with the thing about London, then The City and the City, well it’s all about the city, and the city is itself almost a character. Have you read anything to do with architecture? Because there are all these architectural descriptions in The City and the City that are quite extensive. CM: I don’t have any expertise in architecture. My first academic essay from like 1998 or 1999 is a piece about architecture, the sociology of architecture. I have read some stuff, and I like architecture, and I like urban specificity, and I like trying to poke at what makes London different than Paris, different than Sydney, different than New York, you know. There’s nothing terribly unusual about loving different cities and writers liking cities but I do like big cities and every time I come to a city – you almost try and get a kind of mouth feel for it, you know, and it’s amazing how quickly it happens. You can get out of the plane and spend two minutes walking through a city you’ve never been to before and you can feel that it feels different from the last one you were at and you’re like okay, what is that? Trying to put words to that. In a way it’s trying to put words to that sense of the specificity of place that I hope is what you’re talking about – it’s very much trying to express that. It’s quite ineffable. CM: Which was your favourite? AM: Edinburgh and Prague are pretty tied. But – do you know PD Smith? The author? Because he’s just written a book on cities. He’s a science-culture writer, he’s amazing. He’s really good, have a look out. CM: Okay, cool, I should chase it. AM: I love how there’s a real mish-mash of ways of being and ways of communicating in Kraken – through morse-code streetlights, telepathic text messages, bla bla bla. Was it fun to come up with these different modes of communication? And do you think it’s in part reflective of the multiple streams and channels of communication in society now? CM: Well I’m sure it is, but it wasn’t consciously that. Kraken is a very undisciplined book, and hopefully it’s undisciplined in a good way – I mean there’s a certain thing you can tap, with a certain rombustuous ill-discipline, that you can’t get with a more tight book. So with Kraken, when I was talking about, you know, passing messages, I was trying to think of the various ways that you could do that that were in some way really tied to the city. And it was a book that I sort of felt like – if I had an idea that I liked, that I thought was interesting or exciting or whatever, I would find a way of putting it in. I wanted it to be very excessive, you know? When it comes to modern communication and stuff I’m certainly not a luddite but I’m not particularly interested in it. I don’t tweet, I don’t Facebook, I don’t blog – and I’m fine with that, and I’m not opposed to any of these things it’s just not particularly what I wanna do. But I do text, I text a lot. And I like the way texting changes speech and I like the way text-speech is a new specific thing that has its own flavour, its own rules, and I like all that stuff, so yeah, it was not consciously riffing on all that but I’m sure it was all there. BS: One of the things I wanted to ask you about is the talk you did at a Marxist conference called ‘Marxism and Monsters’? BS: Because I was obsessed with that talk for ages, and my comrades and stuff we always talk about it. So you talk about these origins of monsters, and the socioeconomic origins, and then I was thinking – nowadays we don’t really invent new monsters, we kinda riff off old monsters like vampires and zombies, we use them over and over again. I wanted to know whether you thought we’d exhausted our ability to create monsters or is there a reason today’s society doesn’t really invent monsters like we used to? CM: I’m not sure I’d agree, I mean, I think there’s two different levels. On the one hand there’s this kind of endless degraded reiteration of the old tropes, so you get these endless endless endless zombie or vampire films or whatever, but at the same time there is also, I mean particularly within geek culture, that kind of fascination with the monster creation. So, with movies there’s always this thing with like, y’no, ‘did you get to the monster shot?’ ‘Did you see the monster?’ and it’s like ‘what’s it gonna be?’ You remember when Cloverfield came out and everyone was like: ‘what’s the monster going to be like?’ You know, there was all these debates about it. 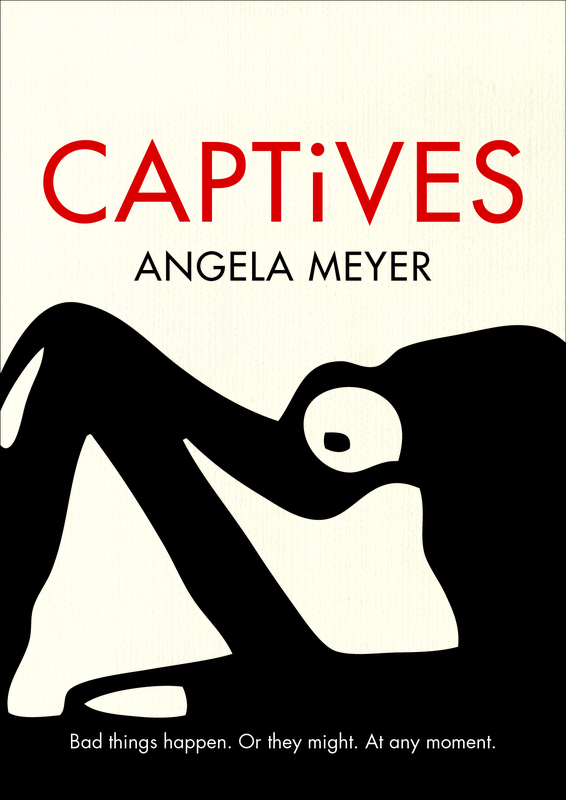 There is still an attempt to create, or self-consciously an attempt to create monsters that haven’t been seen before. Or you think about something like Doctor Who where they’re always trying to come up with the new, y’no – but for me, as you know if you’ve heard the talk, I think the early 20th Century was the high point of absolutely explosive creation in the monstrous. But I would say, at the moment – particularly at the level of vampires and zombies – it’s very tired. I think probably the ’20s was the anomaly rather than now, I think it was more of a question of that being a particularly fecund time than this being a particularly degraded one. And I think there’s probably more teratological innovation going on now than there was in the 1880s for example. I think it’s very culturally specific and at various moments there’s a kind of upsurge of creativity and others there’s not, so I think at the moment things are roughly sort of in balance, you know – we have a lot of very very tired stuff, there’s still some things that are interesting, but most of the time monsters disappoint. Like Cloverfield when the monster is revealed you’re like, uh. *laughs* And that’s a separate issue. But as to the social reasons, why there is such an obsession with sparkly vampires, or whatever it might be, I mean that’s a whole other question – then you have to get into the specifics of each case. And these things are very fashion driven, so, angels are something they’re trying to do at the moment. Angels are very trendy. So overall I think this day and age is kind of middling, in terms of monster creation. 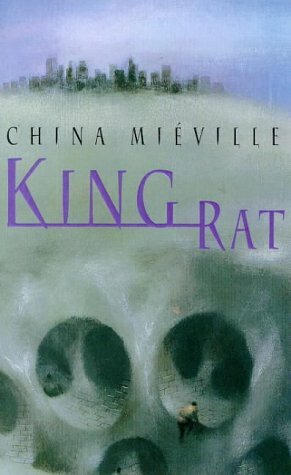 I love China’s books so much, he’s such an underrated author! I’m so jealous he didn’t come to Brisbane.